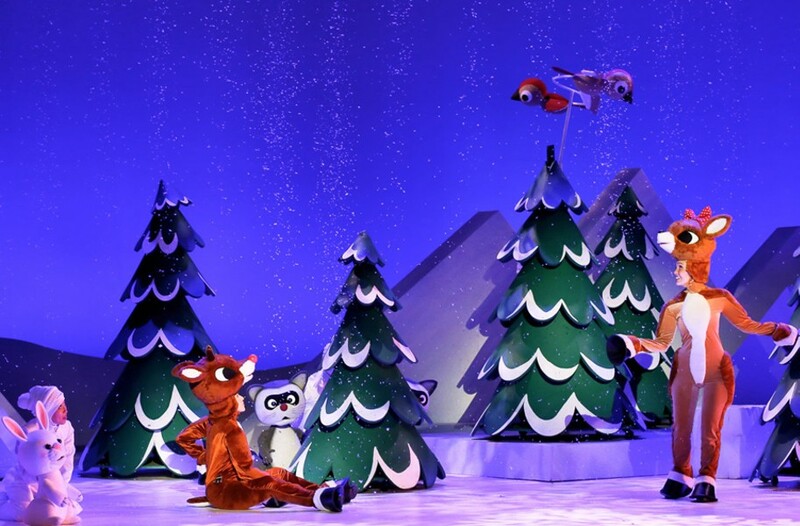 PREVIEW: Broadway in Richmond’s “Rudolph the Red-Nosed Reindeer: the Musical” | Theater | Style Weekly - Richmond, VA local news, arts, and events. Since 1964, every year at Christmas, kids of all ages have enjoyed the televised stop-motion holiday special, "Rudolph the Red-Nosed Reindeer." But this year, Richmond families can head over to the Altria Theatre, where all of the characters you know and love will come to life onstage for Broadway in Richmond's "Rudolph the Red-Nosed Reindeer: the Musical." Shelby Talley, who plays Rudolph, says the show has been an important part of her own family's holiday traditions, which makes this a special role. "Playing Rudolph has been such a magical experience," Shelby says. "I grew up watching this movie every Christmas, so it really does hold a special place in my heart, as it does for so many others." The stage musical includes all of the same songs you remember from childhood, and actors wear whimsical costumes and wield dancing puppets that look exactly like the animated characters, to bring the story to life. Watch as Sam the Snowman recounts the tale of the year a snowstorm nearly derailed Christmas, until a couple of misfits — Rudolph, with his bright, shiny nose, and Hermey the Elf, who would rather become a dentist — come to Santa's aid. In the end, it's a story about acceptance, about characters who don't know where they belong finally coming to find their place at the North Pole. "That's my favorite part of the show, when Rudolph finally feels accepted," Talley says. "It's such a great lesson for kids who come to see the show — and really, for all ages. Everyone is different from one another, and that's what makes someone special." Talley says she loves sharing this story and seeing how it brings families together, adding that kids especially love the show. "It's a wonderful bonding experience for parents and children, family and friends to share," she says. Broadway in Richmond's "Rudolph the Red-Nosed Reindeer: the Musical," runs from Nov. 23 to 25 at the Altria Theatre. Tickets cost $33.50. altriatheater.com.